The similarities: Two partners hunt down a mysterious serial killer with an extremely specific modus operandi and a keen interest in those pursuing him as more victims pile up in a dark thriller. The differences: In the former, retiring detective Morgan Freeman and newbie Brad Pitt look for a killer who uses the Seven Deadly Sins as his basis for punishment. In the latter, psychologist Sigourney Weaver and detective Holly Hunter search for a killer who is emulating famous serial killers. 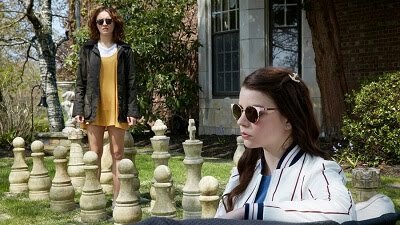 The releases: The former grossed $100 million dollars domestically, about triple its budget, and more than double that worldwide. The latter made $32 million, not significantly more than its budget. 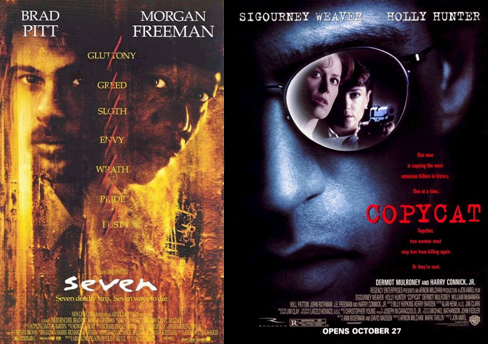 Reviews for the former were more positive for the latter, and “Se7en” racked up a handful of awards, such as Saturn Awards, MTV Movie Awards prize for Best Movie, and an Oscar nomination for Best Film Editing, while “Copycat” settled for two prizes from a French police film festival.